If nothing else, Singapore is diverse. Architecture runs from ultra modern to old world. The residents are from China, India, Malaysia, Africa. 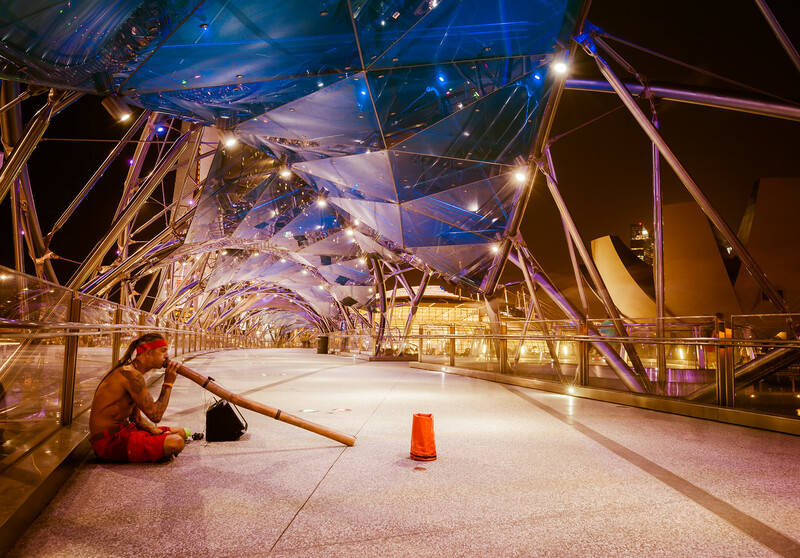 I was not entirely surprised, but it was surreal none the less, to be greeted on the Helix Bridge by a street musician playing a Didgeridoo! Oddly this is the first time I have ever seen anyone playing one of these Australian instruments. I have always wanted to play one, but unlike my native saxophone, the Didgeridoo does not come with a spit valve. I don’t photograph people. When I do it seems forced, but while driving through Peru from Cusco to our hotel in Urubabma I was shooting out the car widow. I was trying to get a feel for this poor part of Cusco we were driving through. I had my camera up, we stopped and this woman looked right at me…Click. 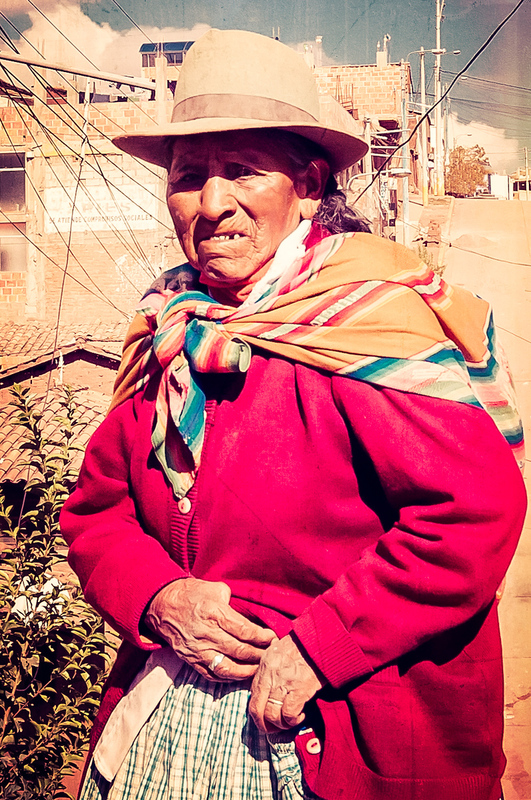 I don’t photograph people, but this accidental photograph feels like much of my time in Peru. I see a lifetime in her glance. Every time I look, I seem to get lost in my own feelings. It’s hard to say how I feel about the very different places in the world that we occupy, but I know the perspective I have found in travel makes me grateful for the things I have. I don’t photograph people. What do those eyes say to you?